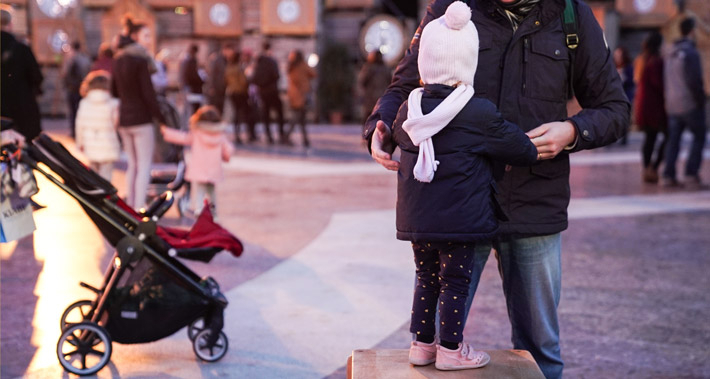 Over the Christmas season, 26,500 people took part in the cultural events held in the middle of Plaça Catalunya as part of the Ciutat dels Somriures [City of Smiles] events. In addition, around 20,500 people enjoyed the show by Sr. Hivern [Mr Winter] and his family. 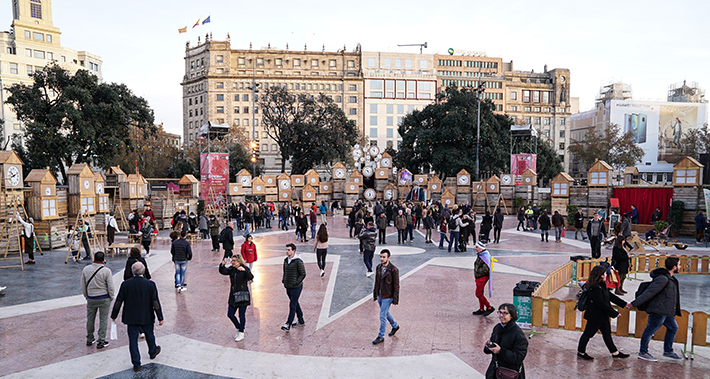 Plaça de Catalunya was once again the centre of Christmas in the city. From 21 December to 4 January it was transformed into the City of Smiles, thanks to a whole host of recreational and stage activities. And once again it provided the setting for the Responsible Consumption and Social and Solidarity Economy Fair. 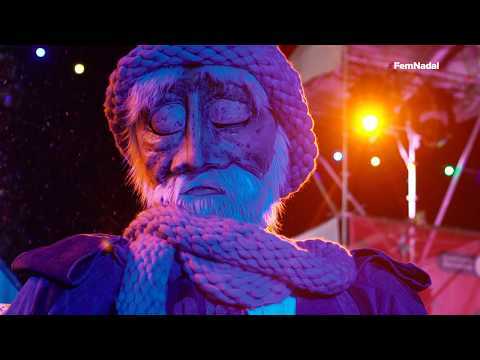 Mr Winter, the central figure during Christmas, was the guest of honour at the City of Smiles, where he performed a show called La ciutat dels galets. The giant puppet had a space to rest here too. He came to life at certain times of the day, as if this was a private workshop belonging to Pinocchio’s father Geppetto, crossing the square to the central stage, where he starred in a show performed by the Efímer company, with El Gran Llibre de les Coses Petites (The Big Book of Little Things) and the Fonts Bessones de la Plaça (the square’s Twin Fountains). 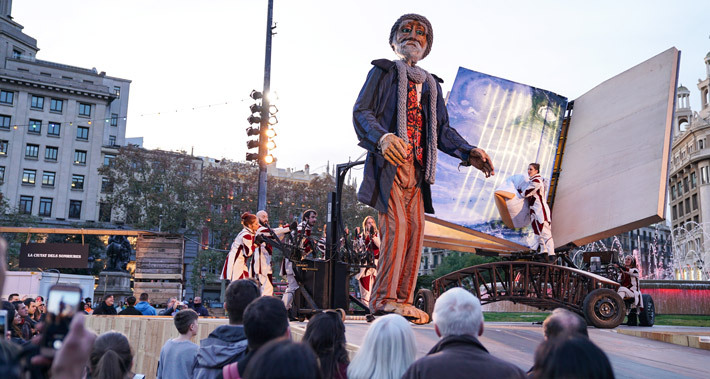 The City of Smiles also featured activities such as the Memory Boulevard (Minimons company), Theatre (Matito Titelles), the Bookshop (Marga Socias), the Toy Shop (El Pájaro Carpintero) and the Sports Shop (sports activities run by the Barcelona Sports Institute). 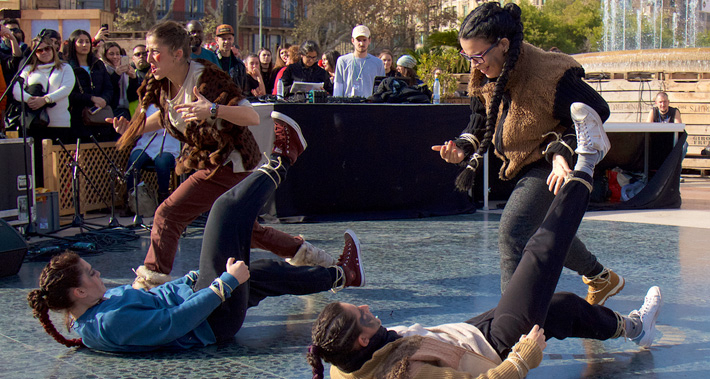 The centre of the square was dedicated to young people in particular for two days, with The Rhythm of the Street. 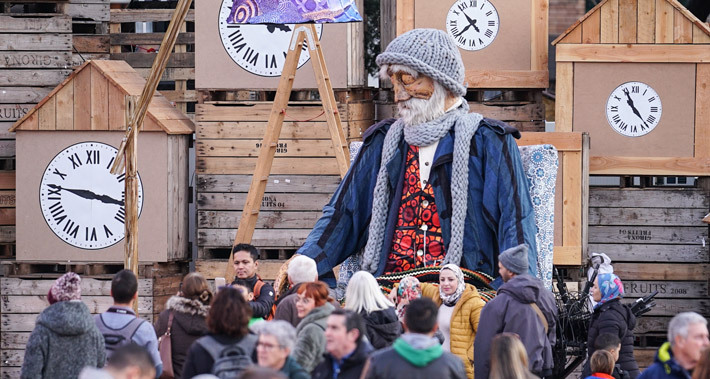 Over the Christmas season, this Fair is the place that shows city residents that responsible consumption is possible and that the local, social and solidarity economy is already a reality in Barcelona. 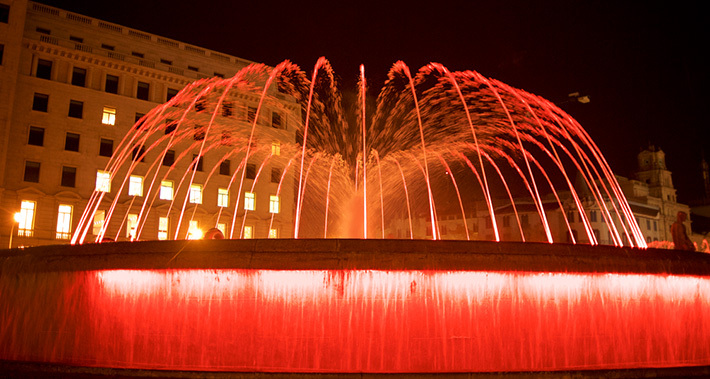 For two weeks, the Fair demonstrates how it is possible to purchase and consume in a sustainable and supportive way all year round and in every district in the city..
As in previous editions, the organisations and projects taking part in the fair scheduled activities at their booths to underline their commitment to achieve a social, cooperative return for the city. Finally, on 2, 3 and 4 January, a space was set up for the royal pages and the royal postmen and women, with Page Estel and Page Omar taking part.